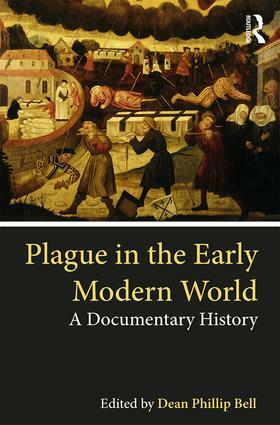 Plague in the Early Modern World presents a broad range of primary source materials from Europe, the Middle East, North Africa, China, India, and North America that explore the nature and impact of plague and disease in the early modern world. During the early modern period frequent and recurring outbreaks of plague and other epidemics around the world helped to define local identities and they simultaneously forged and subverted social structures, recalibrated demographic patterns, dictated political agendas, and drew upon and tested religious and scientific worldviews. By gathering texts from diverse and often obscure publications and from areas of the globe not commonly studied, Plague in the Early Modern World provides new information and a unique platform for exploring early modern world history from local and global perspectives and examining how early modern people understood and responded to plague at times of distress and normalcy. Including source materials such as memoirs and autobiographies, letters, histories, and literature, as well as demographic statistics, legislation, medical treatises and popular remedies, religious writings, material culture, and the visual arts, the volume will be of great use to students and general readers interested in early modern history and the history of disease.